If you were lucky enough to play The Division last week, you probably know a little bit about the game's skill trees. If you didn't, the video above is here to help. According to the very serious voiceover, there are twelve available skills in three categories including medical, technology and security. Each skill (or ability) has three mods. It's all pretty self-explanatory, and each tree has its own special wing in your Base of Operations. 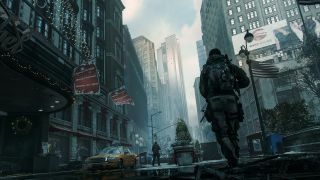 The Division releases on March 8, though there are reportedly plans afoot to offer another open beta before then. Phil Savage offered his impressions on the PC version a couple of weeks ago, and more recently, a bunch of us weighed in on the recent closed beta.